Why: The ingredients are a little unique like the oil of the upside down tree & the sausage shaped "fertility" fruit but the proof is in the pudding or in my case the thighs. Applying this healing oil will help not only prevent stretch marks but to treat them as well! 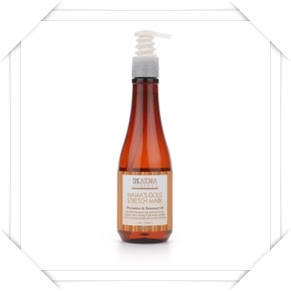 Wow: Mama's Gold was formulated by a skin care beauty expert. She is also the mother of 11 which makes her quite the authority on stretch marks.